Johann Sebastian Bach was a German composer and musician. 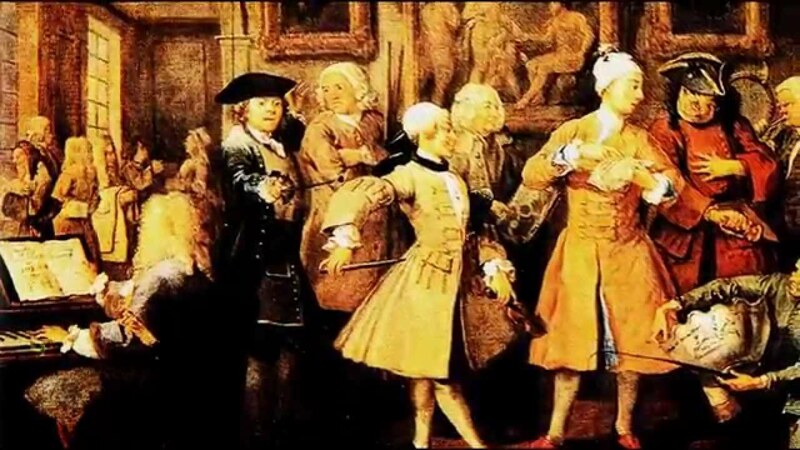 He lived from 1685 to 1750, and the style of his music is called Baroque [bah-ROKE]. Bach was writing music in Germany at the time when the colonists and pilgrims were settling in our country. We’ll be studying some of the characteristics of Baroque music in our listening examples for this week. 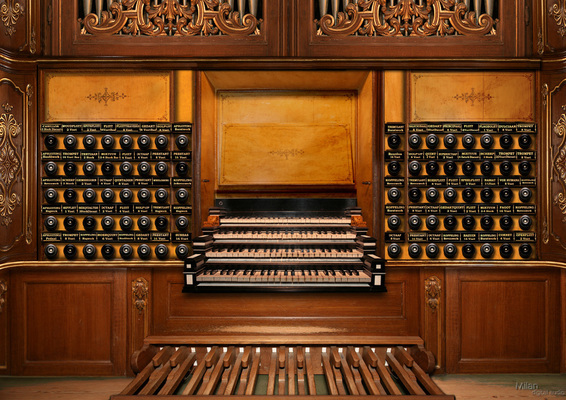 One of Bach’s most famous works is called Toccata and Fugue [fewg] in D Minor, written for pipe organ. A toccata is a form in the style of an improvisation. It is written for a keyboard instrument and intended to show off the player’s skill. Toccatas go really fast! They use a Baroque technique called sequences, patterns that repeat as they move up or down the scale. Organs usually have two or more keyboards called "manuals". They also have a pedal board that is played with the feet. The pedal board is arranged just like the keys on the manual, with white and black keys. Pedals usually play the low notes, or the bass line. The black knobs on either side are called "stops", and they correspond to the different manuals. Pulling out certain stops cause pipes to produce different sounds, such as flutes, trumpets, oboes, strings, and the diapason, which is the true organ sound. When people hear Bach’s toccata, they sometimes think of a haunted house or the phantom of the opera, because it sounds just a little scary. The reason for this is that it is written in a minor scale, rather than a major scale. The low, rumbling sound is produced by a low pedal note that plays a large pipe. Today’s Listening Example is Bach’s Toccata and Fugue in D Minor. It is spooky, and this video elaborates the spookiness of the music with a Halloween theme! Notice how fast the notes move. Will you get chills when you hear it? Bach was well-known as a virtuoso organist and music improviser. Improvisation is where a performer creates new music on an instrument without ever having played it before. Bach was famous for being able to sit down and improvise a fugue [fewg]. Fugues are one of the most complex and difficult forms in music. They became popular during the Baroque period and are still written today. Fugues begin with a theme, called the “subject”. The subject is presented in one voice part, such as the right hand. After the subject has been introduced, the left hand "answers" with the subject while the right hand plays new material called a "counter-subject". Then, the subject is played on the pedals with the feet, while both hands play other stuff. The subject is shifted back and forth between different parts in the music. Today's listening example is Bach’s Fugue in G Minor, sometimes called a little fugue because it is short. The subject is pretty easy to identify. After the hands have played it, you will hear it played on the pedals. 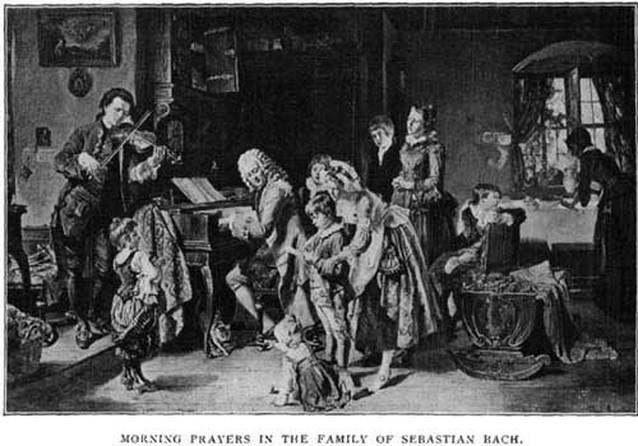 Bach was part of a large musical family. He had twenty children by two wives. Many of his children became good musicians, and four of his sons became composers. Beside playing the organ, Bach played an instrument called a harpsichord, which is an early version of a piano. Pianos had not yet been invented in Bach’s time. Harpsichords have a softer and more delicate sound than pianos because the strings are plucked with a quill, rather than struck with a hammer mechanism. One important characteristic of baroque music is repetition. Patterns are repeated, and sometimes musical phrases are repeated. Our listening example today is a well-known piece that doesn’t really have a melody, but is made of repeated patterns of chords, played one note at a time over a bass line. Bach’s Prelude in C Major is played on a harpsichord. Bach composed a tremendous amount of music. His works for organ alone make up several volumes. Ironically, his music was not well known during his lifetime. It was not until about 100 years after his death that musicians began to take an interest in his works and appreciate the genius of his writing. Bach used these elements in what many consider the finest writing of the Baroque period, his Brandenburg Concertos [con-CHAIR-toes]. These were a set of six concertos written for a small orchestra of about 17 players. They were presented as a gift to the Margrave of Brandenburg, Germany. 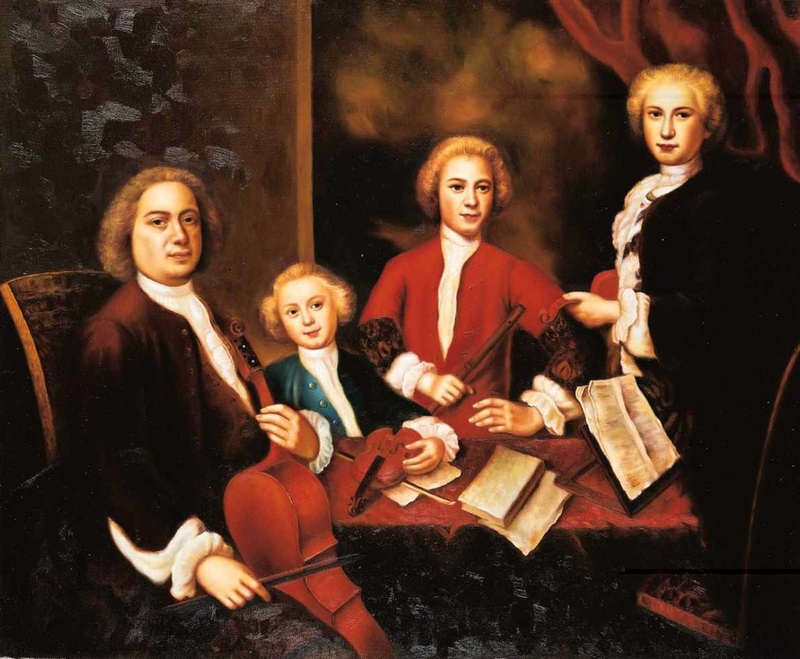 Our listening example today is the Brandenburg Concerto No. 2. 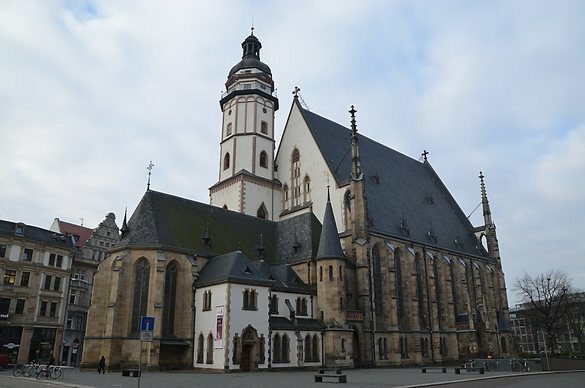 The way Bach used these characteristics in his music can be compared to Baroque art and architecture. 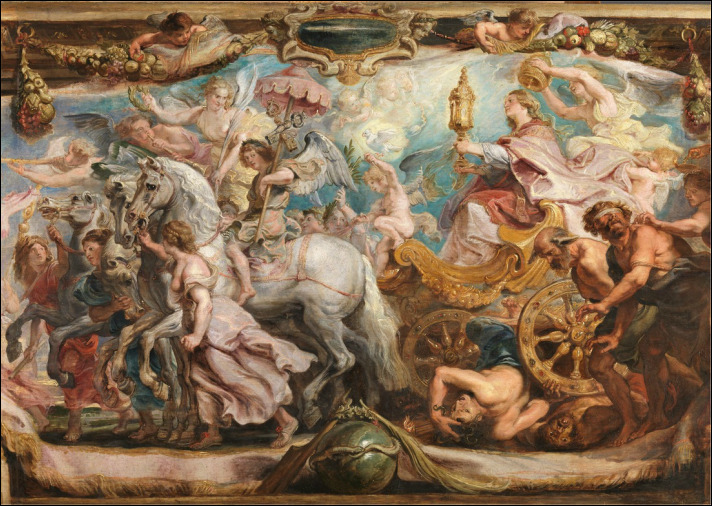 Baroque art uses vibrant color contrasts. Bach’s contrasting colors are the tone colors of the instruments. 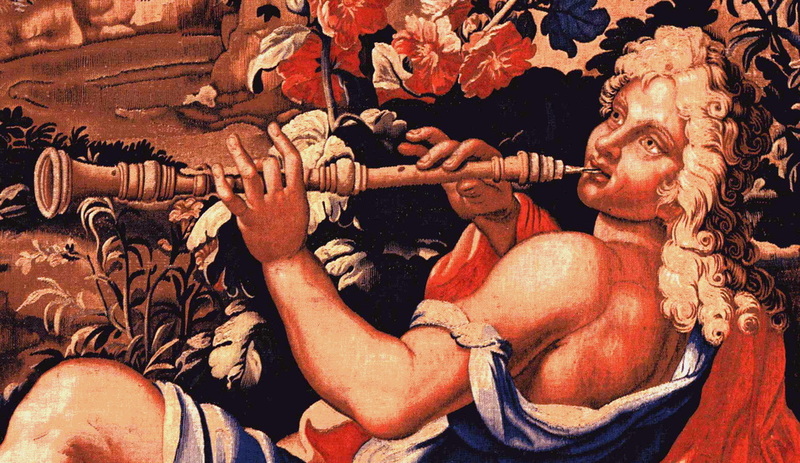 The music features a trumpet, recorder, oboe and violin along with harpsichord and a group of strings. Instead of blending them all together, he highlights individual sounds. A sense of motion can be seen in the subjects of art and the designs of architecture. Energetic motion is found in rhythm. Bach used quick “running notes” and combinations of short notes to propel the music forward. Bach filled musical space with continuous, flowing sound that does not contain any rests or pauses. Visually, this means a lot of black ink on the page. 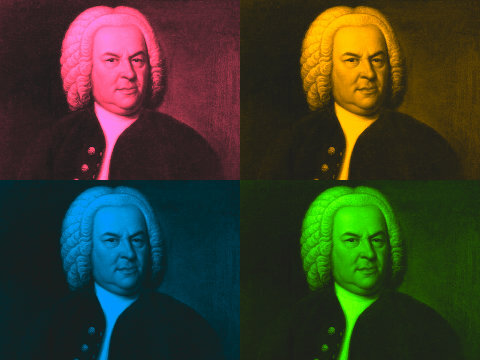 When the music has a lot of black in it, chances are it’s by Bach. As you listen to the Brandenburg Concerto No. 2, see if you can detect the three characteristics discussed in the lesson for today. Contrasting tone colors are displayed between the recorder, violin, oboe, trumpet, harpsichord and orchestra at 2:43 - 3:41 minutes. Listening Example: Jesus, Joy of Man's Desiring, from Cantata 147, titled "Heart and Mouth, and Deed and Life"
For many years, Bach worked as a church musician. This meant he had to constantly compose new music for church services. All this music was written for choirs, organ, and even orchestras. He composed lots and lots of music each week and directed the choirs and musicians. Bach was a deeply religious man. His church compositions started with the initials J. J., which stands for Jesu Juva [yeah-soo you-vah]. This means “Jesus, help”. At the end they were signed with the initials S. D. G., which stand for the Latin term Soli Deo Gloria, or “Glory to God alone”. Bach indicated that his work was produced for the sake of praising God. Music written for church services is called sacred music. 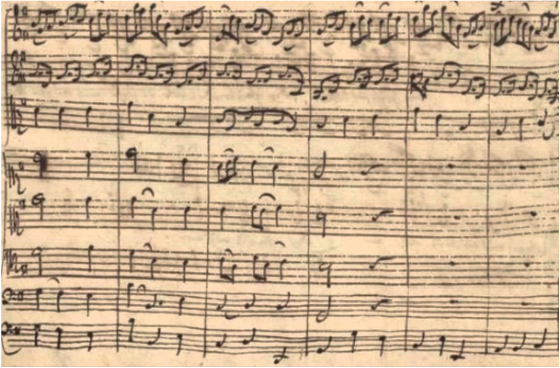 In Bach’s time, a popular form of sacred music was a cantata. Cantatas are written for choirs, solo singers and instruments. They last 25-30 minutes and have several sections, or movements in them. They might be based on a familiar hymn tune. 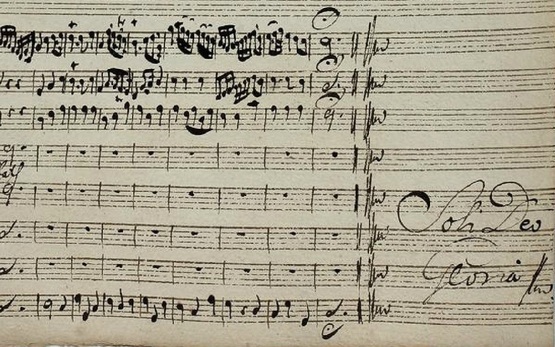 Bach wrote new cantatas for each Sunday service as well as special ones for Christmas, Easter and weddings. In all, he wrote about 200. Our listening example today is the last movement of a cantata. It is titled Jesu, Joy of Man’s Desiring, and has been played on almost every instrument imaginable. This popular piece is often played at weddings and at Christmas and Easter seasons. The melody has a triplet rhythm pattern for each beat. This arrangement is close to what Bach intended in his cantata, with choir singing.